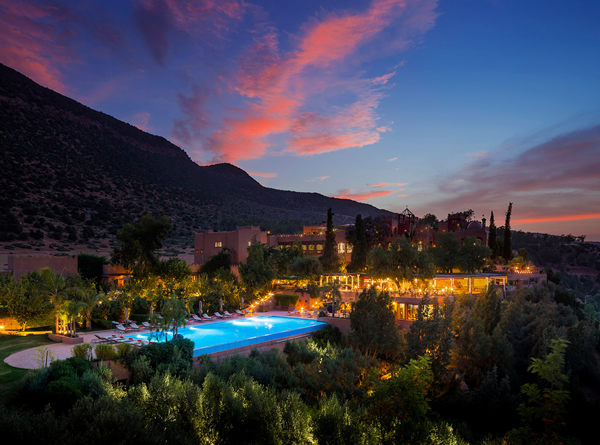 The most luxurious property in the Atlas Mountains, the Kasbah Tamadot is Sir Richard Branson’s sensational mountain retreat. 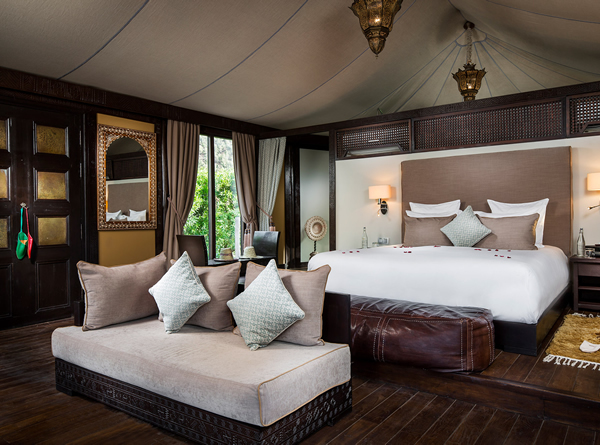 The hotel, which consists of just 28 rooms, suites and luxury tents, is perched on top of a valley offering awe-inspiring views of the surrounding landscape. 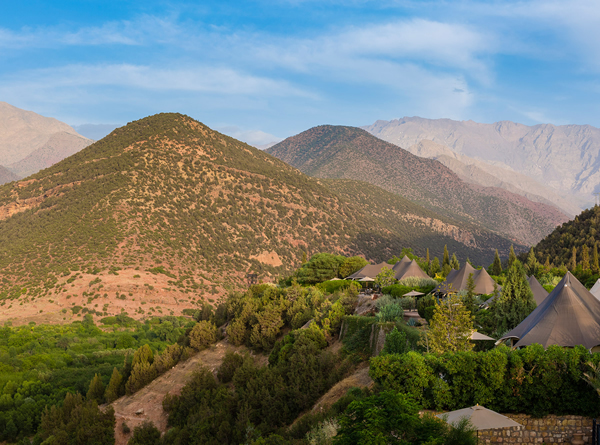 The experience of staying at this magnificent mountain property is one that will never leave you. 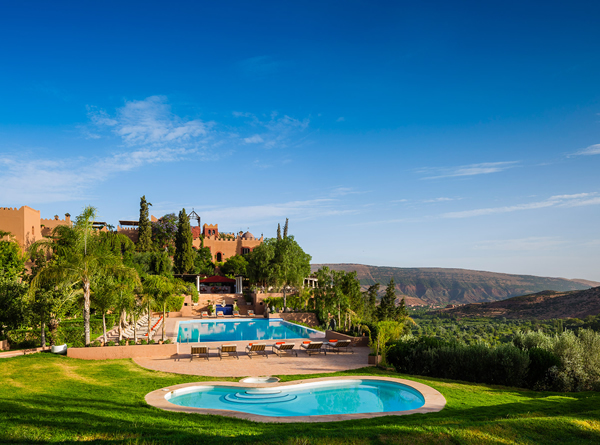 Within the property there is a panoramic, heated outdoor infinity pool, the ‘Asounfou Spa’ with its traditional Moroccan hammam and 2 tennis courts. 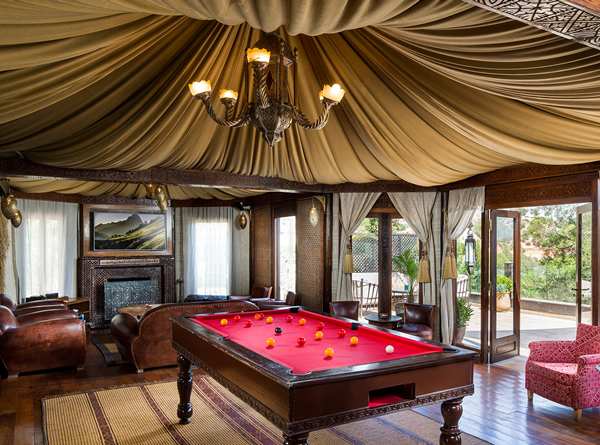 Guests can also enjoy cooking classes, trekking and driving excursions as well as taking part in local volunteering projects. 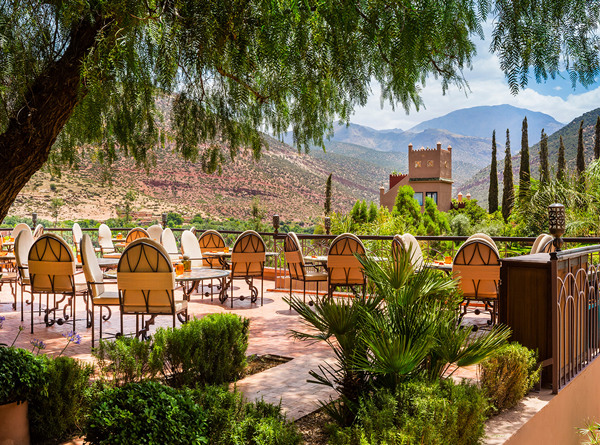 Cuisine at this hotel is of the highest standard, with traditional Berber feasts and sumptuous Moroccan cuisine served in incredible settings throughout the property. 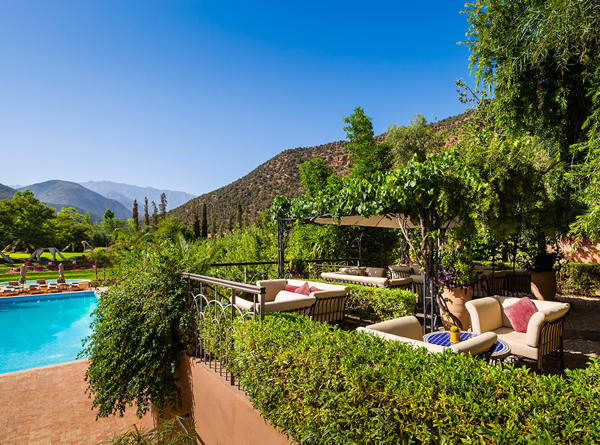 Kasbah Tamadot is the ideal destination for guests who want to experience the romance of the majestic Atlas Mountains in luxurious and magical surroundings, where every desire is expertly catered for. 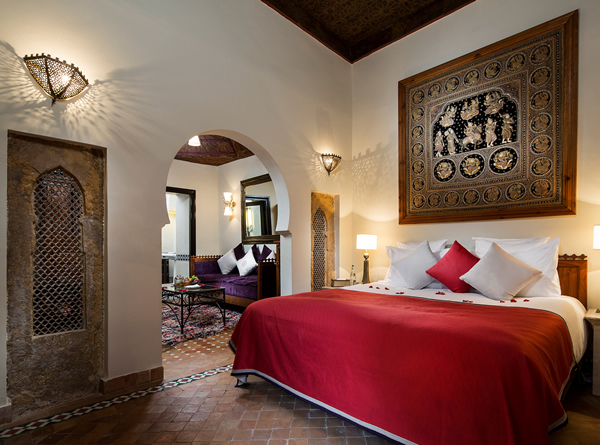 The hotel is 45 minutes away from Marrakech. 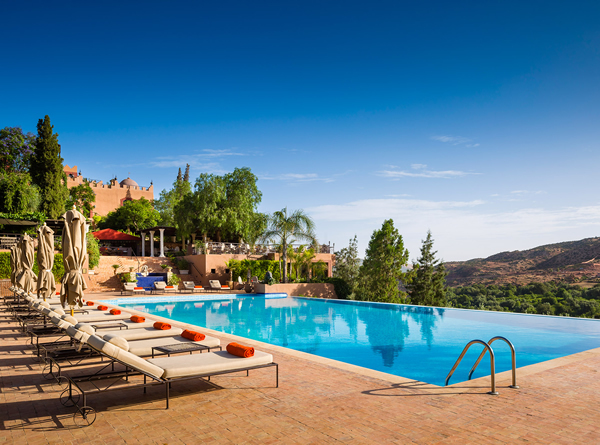 Children are welcome at the hotel at certain times of the year. 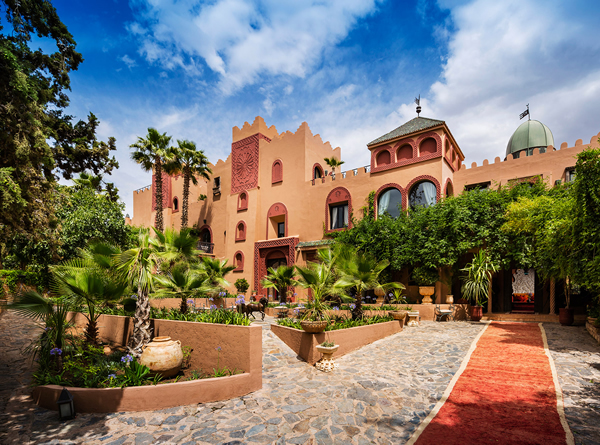 There are only 28 rooms and suites including 10 luxury Berber tents at this hotel. 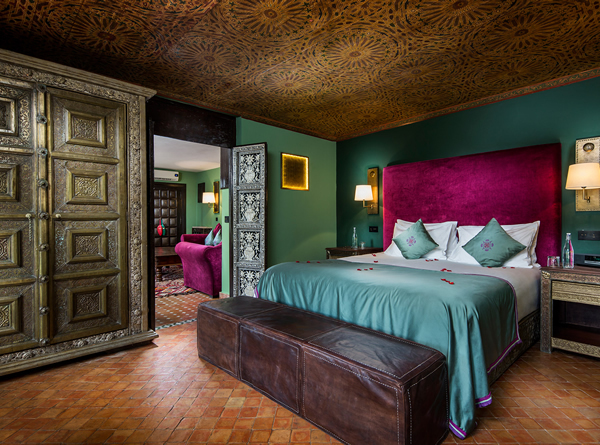 All rooms feature plush bathrobes and slippers, complimentary mini bar, filtered bottles of water, docking stations, tea and coffee making facilities, sun hats and complimentary toiletries. 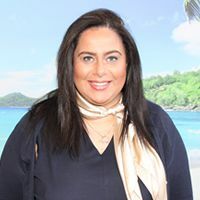 TV’s and DVD players are available on request.